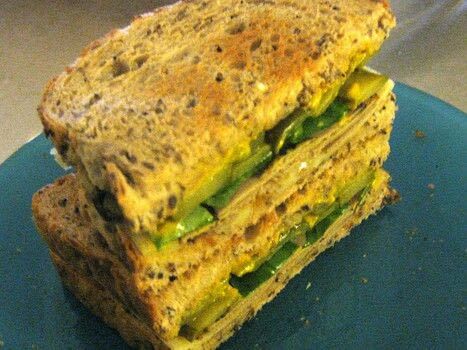 A nice and simple (but really tasty) sarnie. Non-veggies won't miss the meat either! Cheese, beef (fold the slices over), spinach, then layer the gherkins. 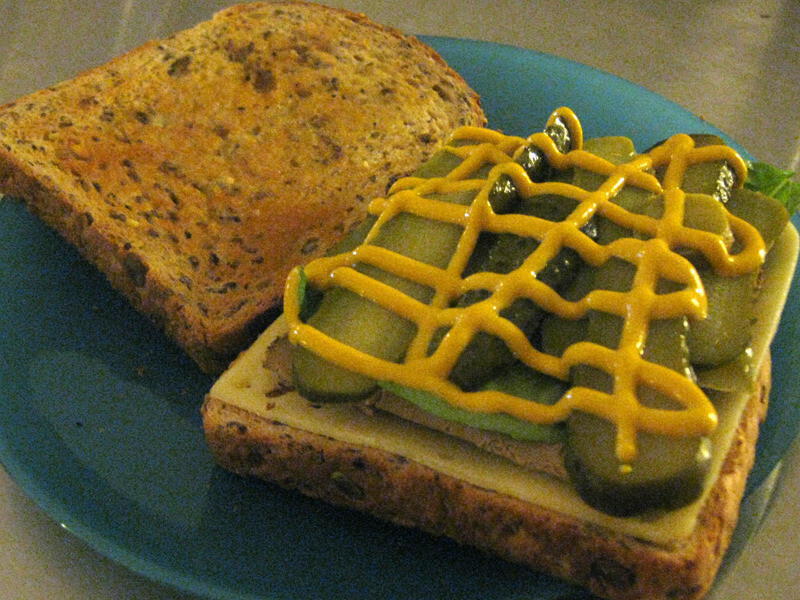 Drizzle with mustard, and season with some black pepper. is it veggie beef you use.. like quorn? "Quorn beef in rye!" Or wheat, or whatever...lol! A 'vegetarian' sandwich with beef in it...hmm...Lol! Bluebell, YOU HAVE MADE MY DAY!